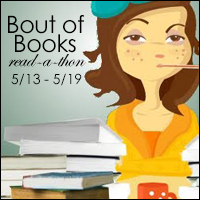 The Bout of Books Read-a-Thon was created by Amanda Shofner on a complete whim in August 2011*. It took on a life of its own and was such a hit that Amanda decided to do it again and turn it into a somewhat regular occurrence. *always be careful what you tweet!